A lone wanderer, explorer, or on a spiritual pilgrimage through rune-scattered dunes. Link. 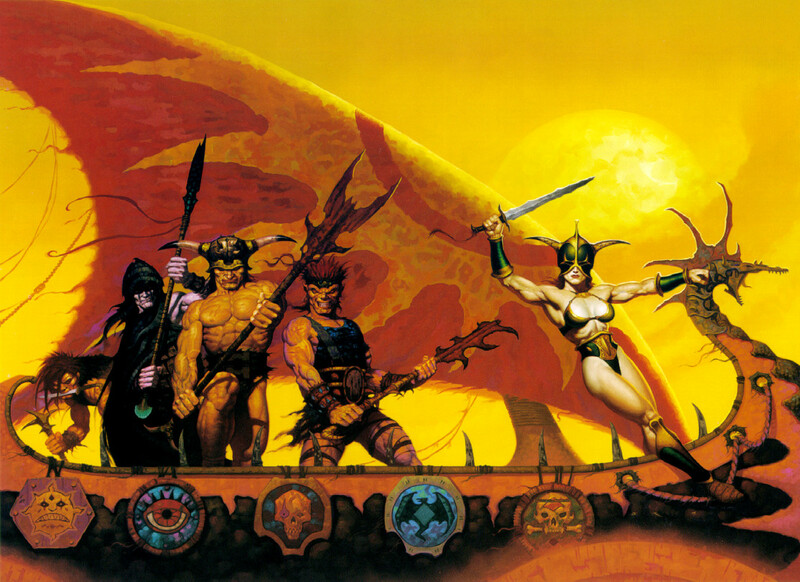 A long while back I ran a Savage Worlds game using the Dark Sun setting. It was a fun game but we hemorrhaged a lot of players and decided to wrap it up. Since then I got a new group going (with a few long time players). They jumped into the weird west and occasionally dabbled in a 1920s Cthulhu game. However both of those campaigns eventually took a serious tone. I think we all wanted something with a little more action and a setting that embraced adventure a tad more. 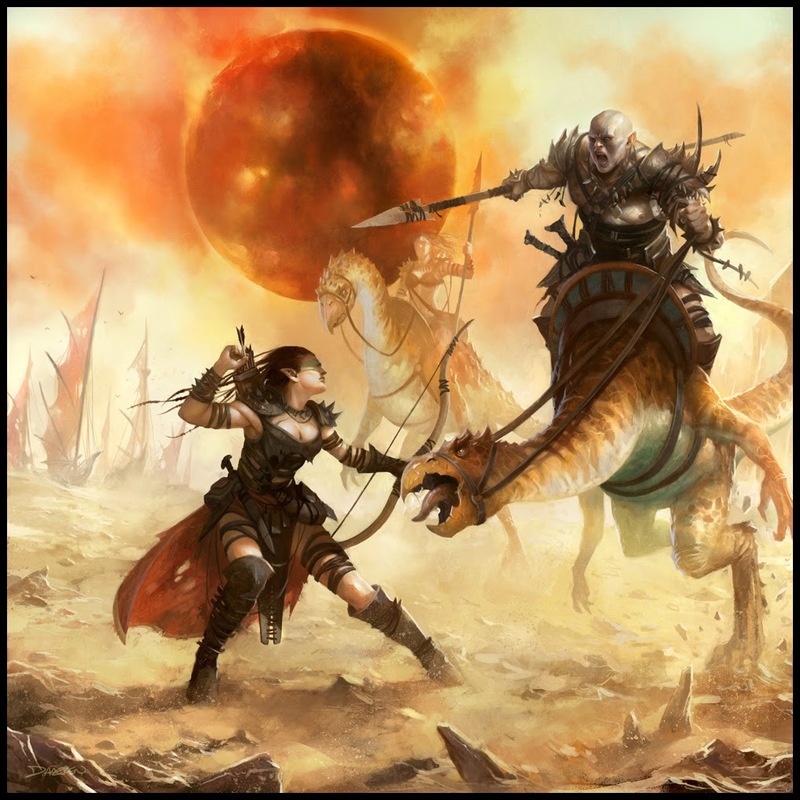 Many of my players found the idea of a Dark Sun game intriguing. It’s fantasy but with a twist. The setting is dire but certainly allows for heroics. While they’ll entertain being mercenaries for a bit, I suspect they’ll heed the call for a higher, grander purpose. I totally expect a few sorcerer kings to be on their hit list. Dark Sun just really grabs their attention. As for me, I felt I could certainly get more ideas for adventures flowing in this setting over my weird west game. 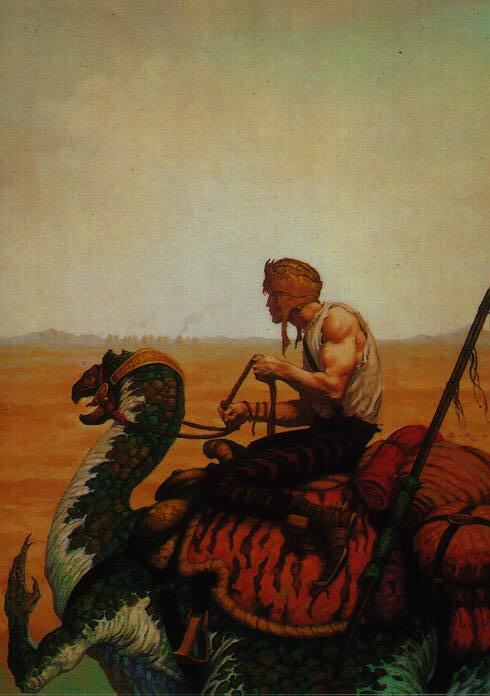 So we’ll be visiting the scorching deserts of Athas soon using Savage Worlds. Something I’m really looking forward to. Ember Water – A red, spicy, vodka-like drink made from the seeds of cactus. The thick round seeds are the size of a halfling’s fist and have fruit inside of a dark red color, with each pulp section covered in a soft, pliable, translucent membrane. A single fruit pulp section is placed in a shot glass of water. The coating of the fruit bursts due to osmotic pressure and much of the membrane dissolves in the water, allowing the fruit contents to mix. The result is a peppery drink of 30-40% alcohol that has a clear, deep red color. The fruit and pulp seeds can be eaten, however while they do have some moisture and posses a high alcohol content, they are unpleasant to eat having an exceedingly bitter and spicy taste. If diluted in less water, the liquid is flammable but the drink becomes more bitter and is unpalatable. Yet some scoundrels have been known to make flammable firebombs in such a manner. A long while back my group was willing to jump back into a fantasy setting, but they wanted something very different from your typical Tolkien-esque world. So it was agreed to run a Dark Sun game using Savage Worlds. Unfortunately that meant I had to dig up some conversions of the setting for those rules. Digging around however I found quite a few treasures. There are some great SW conversions for Dark Sun. I opted to merge a lot of different sources into a single setting PDF. As part of this, I also wanted to tinker a bit with armor and weapons. A while back I posted on a wonderful idea for keeping track of encumbrance that I found on another blog. So I altered the weight of different weapons expressing them as inventory space slots to fit that encumbrance system. My group had a lot of fun running around Athas. Sadly, some folks moved out of the country and others moved to another city, so we ended the campaign. Still it was enjoyable while it lasted and likely a setting I’ll revisit again. EDIT: Doing some digging I managed to track down the person responsible for the bulk of the racial text and the individual that did the foundation to much of the conversion, Rich Ranallo. You can dig through Savage Heroes to find his original conversion. So a while ago I posted about me stepping into Dark Sun using Savage Worlds and fortunately there is a ton of stuff out there to help with the conversion. One particular thing that has been sticking with me is some type of encumbrance system. SW handles it though a strict weight limit, and I just didn’t want to bother with keeping track of how heavy everything would be. However, I did want something. Dark Sun seems to be that kind of setting where you need to worry about how much water and supplies you can carry. It seems to thrive on having that kind of detail. Enter Matt Rundle’s Anti-Hammerspace Item Tracker which is just genius. Basically characters have a finite number of slots to carry things in. All equipment and items are an abstraction of weight and space. The heavier the armor, the less slot space you have. While a spear may not be heavy, it is bulky, and likewise takes up more space than just considering the weight alone. I fell in love with it and had to use something similar in my game. There were a few nagging details. One was I liked how Dark Sun had different types of coinage, something I wanted to reflect on the item sheet. Further, I needed to convert equipment and weapons into slots. In the end I created my own version of the anti-hammerspace tracker. Something that would also allow me to keep track of both metal and ceramic coins. Lastly, I created my own weapons table including armor. I kept most of the stuff similar to the SW weapons in the rules but did make a few changes. All the prices are in silver (or pieces) and the weight is now listed as slots taken up. The gang has really taken to this. Best of all, they know they can haul around only so many slots worth of water and supplies. Making it a trade off between having a lot of armor and gear, compared to being able to carry around enough food and water to last in the desert. Lastly, coinage is an issue and I’ve been able to bleed off some cash with poor exchange rates of silver to gold, or converting ceramic coins to metal. It’s a small thing, but helps add some realism to the setting, without being cluttered too much in simulation rules. It’s always a bit of footwork to get a new campaign rolling, especially that first session. I like a short adventure giving the PCs some action. I also like all the players having some shared background to help cement relationships. It just helps get the ball rolling. For my latest Savage Worlds campaign I decided to do a slight departure from having a lot of open talk on past relationships, and avoid the players starting off with a small adventure to tackle. Instead I put them on a story railroad to help create a shared experience and let that be the backdrop to how the players established their own relationships. There were a few key aspects for how I set this up. Less details, more a thumbnail sketch – I didn’t want players to get all their powers, abilities and stats all lined up. I wanted very broad ideas of who they were. So a dwarf psionist or human tracker good with a bow was all I needed. I especially did not want any backstory. Use paper dolls – I created a simple set of generic stats and types of abilities for typical hero icons. I created a melee type, a ranged weapon type, and a caster type. All with average D6 stats and without any edges or hindrances (for the 4E fans out there, consider a character with 14 in all stats, using a basic attack, possibly a magic missile at-will for spell casters, with no feats or class abilities). I didn’t need them having anything special. I did this primarily as much of my group had not played SW before. I wanted to get one combat in and let them learn the nuts and bolts without a lot of distractions of power choices and edges. The fight would be heavily scripted with a hard stop, to allow any fallen characters a chance to recover. It was designed just to get a feel for how fights work in the system. Run a story railroad – I created a context and background for the situation, including a short melee conflict. There are a lot of ways to do this. The key points are to have the group forced in a situation where they are around each other for an extended period of time, and have the opportunity to get into a combat. Maybe the group is part of a military campaign, or under a castle siege. Possibly the group are doing some required service for 6 months to a local lord, with the keep being attacked once during that period. Maybe they were all shipwrecked on an island for a year (cue the theme to Gilligan’s Island). In my Dark Sun conversion using Savage Worlds I had the group leaving Tyr joining a merchant caravan. The caravan was ambushed (playing out the fight), creating a dire situation for the group. They managed to crawl to Raam and were promptly put into indentured service for a year to pay off losses incurred to the merchant. I fast forward everything so that they had completed the year of service, and were preparing to leave the merchant house in Raam. It was heavy handed, but created a situation where the group was forced to have a common experience and be in each other’s company for some time. Determine set relationships randomly – I had each player roll a D6 and paired off everyone. The highest rolls were with the lowest, next highest with the next lowest, and any pairs rolled were given a matching partner. I did it in such a way that everyone at the table had a least one relationship with another. They were free to have other relationships among the other players, but it was required to have one with the other PC they matched up with through the die rolls. Have the players fill in the details – Once that was set, I let the PCs tell me what happened throughout the year. How did they initially meet? What key events happened throughout the year? What did they do as individuals? How did they establish this connection with another player? In the end they all knew each other, but likely had some particular shared experience with one other player. What is important about this is that I let the players have control over the story. I’d set some ground rules and potentially reign in some ideas (they couldn’t kill the merchant they worked under during that year). However I let the group tell me how they spent their lives during that time. I let them figure out where they came from, and how deep their friendship went with the others. The setup was just the backdrop, the players had firm direction with they did during that past time. Another great thing is the DM can slowly set up other elements in the campaign world. As past events unfold, you can allow rumors and bits of information to accumulate. Maybe a player learns more about a key NPC, or finds out some important news, or gets the real inside scoop on the relationship between different NPCs. For my group, Tyr was firmly under control of the sorcerer king. I had them initially explain why they joined the merchant caravan heading to Raam. Then I had them describe their lives and what service they provided the first 3 months at the merchant’s house. 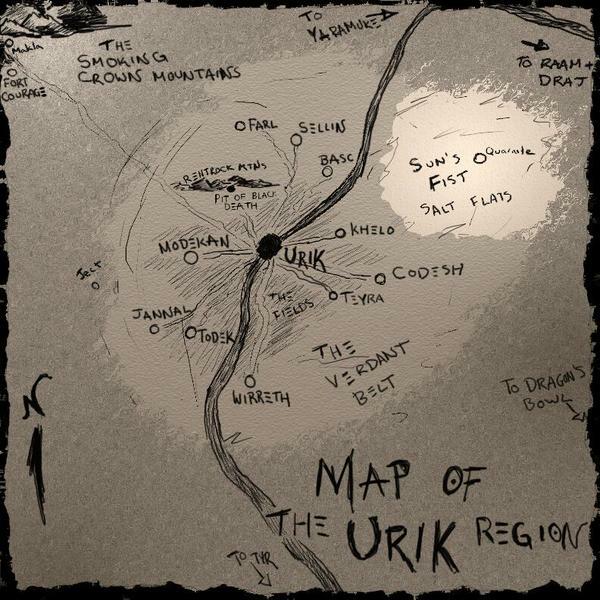 At the 6 month mark, I got more information on their lives and what happened at the house, however I dropped rumors that Kalak, the sorcerer king of Tyr, was slain. Fast forward another 3 months, after getting more details of their lives from the PCs, I gave them information that the impossible had happened in Tyr. It was confirmed that the sorcerer king was indeed dead, Tyr had abolished slavery, and was now known as the free city. This is a great way to offer some background on the world in broad strokes, and not just give an info dump to the players. Additionally, you can have the players become part of that knowledge gaining experience. If players were doing required service at a noble’s keep, maybe a PC overhears a fight between the local lord and a duke emissary. Maybe the player working the kitchen hears all the juicy gossip about the lord’s youngest son being a rake and a gambler. Maybe the player working the keep library stumbles across an ancient map. Wrap everything up and get the characters completed – At the end of the night, all the player characters should be completed. It is quite possible things can change during the course of the evening. Maybe a player learns that a ranged fighter wasn’t as exciting as being a melee swordsman. Maybe the idea of being a scout-type hunter wasn’t as exciting as being a bounty hunter. You will very likely see players getting a lot of different ideas about their characters after they get some time to work out their relationships with others. So let them explore that with very generic characters initially, and then follow up with having them get the nuts and bolts ironed out on their character sheet. At the conclusion of the first session they should have their character details and stats completed and ready to go. I had a lot of hesitation initially with my group. What do you mean you don’t want to hear my backstory? What do you mean you don’t want me picking all my skills? What do you mean it’s not important why I joined this group? And trust me, when I said that the group was forced into service in the merchant’s house for a year, plenty of eyes rolled up at the table. However at the end, that perspective completely changed. 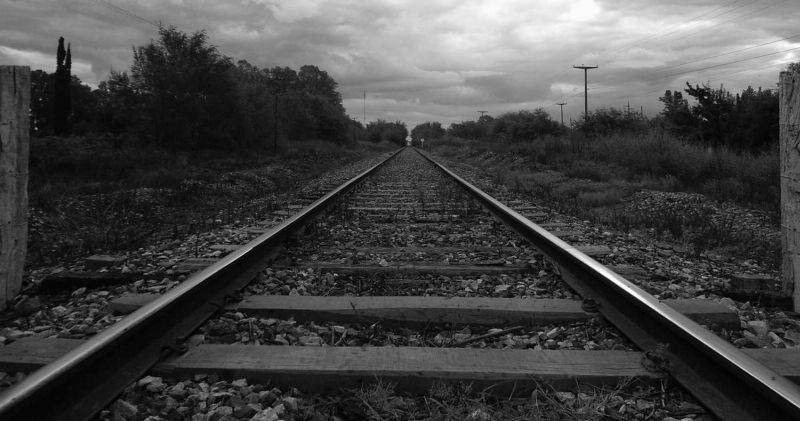 That heavy handed story railroading lay a foundation for creating a shared experience for everyone. They could say they all knew each other for over a year (with some knowing each other even longer). They all had encountered difficulty and learned to depend on each other. It really allowed the group to gel and get past that uncomfortable part of getting to know one another. Give it a try sometime for your game. You will be surprised with how much backstory and adventure fodder will come from your players. So the consensus of my group was if they were to dip their toe into fantasy, it would be a setting far away from traditional Tolkien-like high fantasy. Likewise, I think 4E was just not in the cards. Many of the players had that ‘been there, done that’ feeling with the game. After a year and a half, it was time to try something new. So I took the plunge into Savage Worlds. A big part of the reason was that if we got tired of our regular campaign we could jump into something else without too much of a learning curve. I wanted modularity and Savage Worlds offered that. Also, I liked the streamlined system that Savage Worlds has. GURPS is a bit clunky for me and the character creation system, while very detailed, seems a bit of a chore to dig into. We had made a short stint with a Savage Worlds hack of Traveller but that petered out due to extended summer vacations and a bunch of new folks coming into the group. The crew of High Hopes is still wandering the stars, but put on the back burner for now. Given some of the folks were acclimated with SW, likely we would stick with that for our next campaign. With the game system decided, the next task was the setting. Supernatural horror and campy super hero stuff was on the table. Fantasy was initially a no go however I got to worrying about adventure ideas. I did not want to craft a huge overarching campaign story like last time and keep things pretty much a sand box. This was a bit of a kink for me if we dabbled in a more modern setting, as even with fantastical elements, I’d likely hit a wall with adventure ideas. Lately, fantasy settings seem to get my creative juices flowing more. So I thought about using Dark Sun. Fortunately there is a ton of stuff that you can find online that has used Savage Worlds rules for the setting. Armed with a lot of good resources, I was able to whip up a rules a mishmash from different sources and other conversions to get a framework together of the different races and magic system. One thing I did tweak a bit was the rules for weapons breakage. So in my game non-metal weapons will break on a critical failure for a fighting roll. If being used against a foe wearing metal armor, a roll of 1 on either fighting die results in the weapon breaking. Metal weapons are exempt from this rule. Further, metal weapons do +1 damage to targets not wearing metal armor. It’s a small tweak, but I wanted something simple to remember and allowed for some advantages for wearing metal armor. Definitely this is something that will creep up on my player’s wish list of gear to get. So far the group has been having fun in the setting. They have started in Raam and are making their way to the newly freed, Tyr. I think there will be lots of exciting things for them to do. Expect more posts in the future about the game.